Happy Friday!! Today’s post is featuring the beautiful vintage collection from Long’s Jewelers! I am absolutely IN LOVE with the timeless and classic feel of these rings, especially all the detailing… so much character behind each piece! 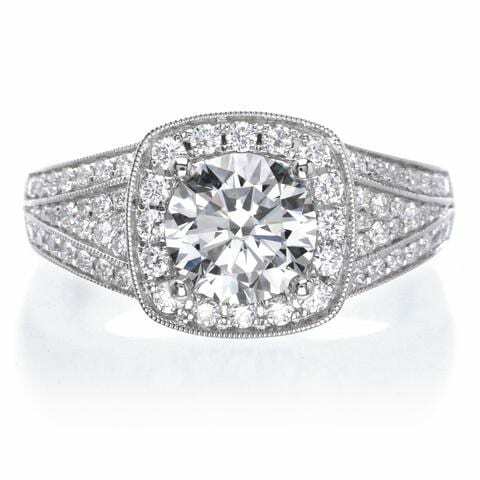 18K White Gold Romantic Vintage Cushion Diamond Engagement Ring. This romantic, vintage inspired engagement ring features a 0.75 carat cushion cut diamond inside a beautiful milgrain accented halo. A second halo creates the frame and is fashioned with intricate patterns of shimmering channels of diamonds accented in milgrain borders. Placed on a shiny tapered band, the total weight is 0.57 carats. 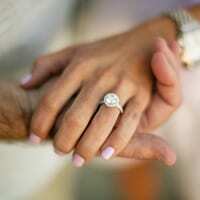 Vintage Round Brilliant Halo Diamond Engagement Ring. This bold white gold diamond engagement ring features a 1 carat round brilliant center with a total of 0.50 carats in our signature halo and multiple rows of diamonds in the shank. 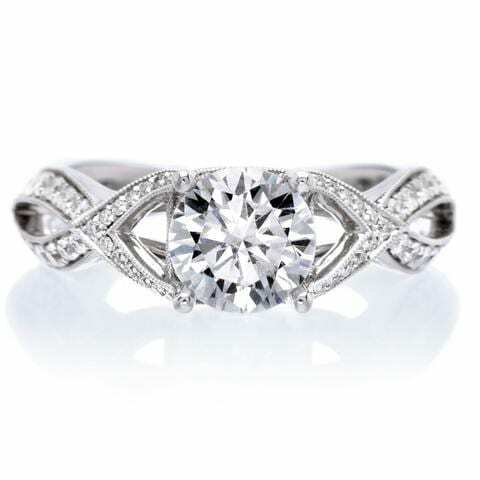 Vintage Criss-Cross Solitaire Diamond Engagement Ring. This dazzling white gold diamond engagement ring features a 1.00 carat round brilliant center with a total of 0.38 carats in a vintage crisscross diamond shank for a unique solitaire. 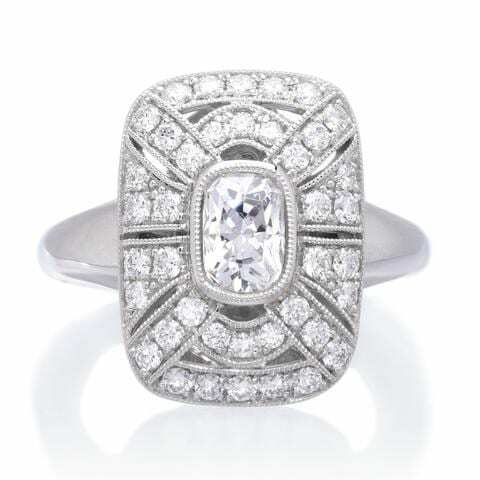 18K White Gold Vintage Diamond Halo Engagement Ring. 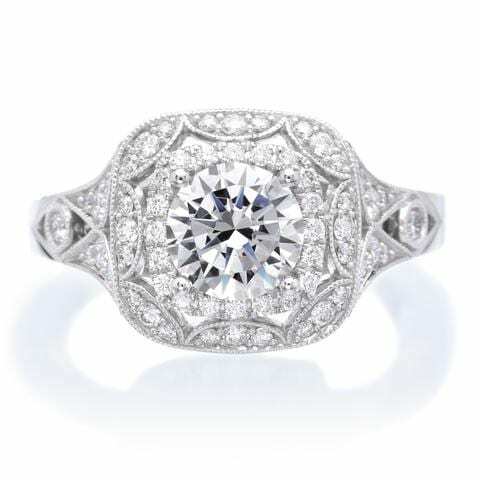 This vintage double halo diamond engagement ring features a 1.50 carat round brilliant center surrounded by a cushion halo of diamonds and both in another halo with milgrain and diamond accents which continue down the shank for a total of 0.48 carats.